Working conditions for professional teachers is being scrutinized in Sweden. Right so! What the conditions were in the beginning of the 1900s can be illustrated by the story of my mother’s teacher Karin Bergström, from the village of Staggträsk. For me, she was a "role model" who showed that you at the age of 52 could break up and migrate to the other side of the earth in hope for a better life. My mother used to tell me that she and her older siblings only had three terms of school education. Apparently, that was the practice in the rural municipalities such as Krutträsk in the north of Sweden from 1850 to 1920s. 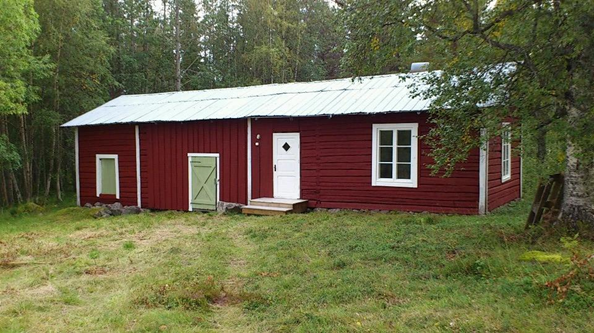 According the practice in the county of Västerbotten, bakery cottages was used as school premises. My mother´s grandfather had prepared their bakery cottage and made school desks for the purpose (now donated to the Local History museum). In addition, they laid reindeer skins on the floor to reduce the cold draft from the poorly isolated bakery house. It was in these circumstances the teacher Karin Bergström had her deed and lived with some of her children when the school was open. My mother, who admired her first and only school teacher Karin, sometimes wondered what happened to her over there in Canada. As Karin was married to one of her father's second cousins, we were family so she thought we had a right to be curious. Now my mother did not find out but with help of the internet and with the assistance of the teacher's husband's relative, also from Staggträsk, I have stilled my own curiosity. The teacher Karin Albertina or Kajsa was born in Roptokheden and lived in Staggträsk after marrying Johan August Bergström. 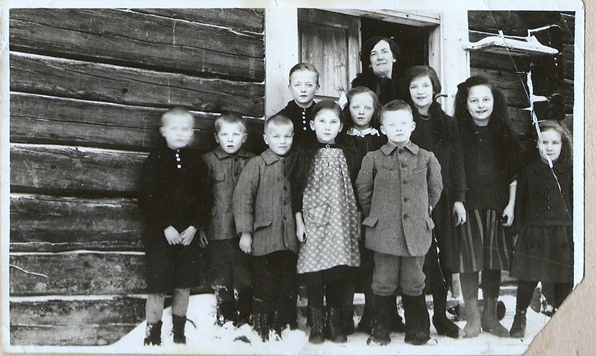 She emigrated with her husband and six of the children from Staggträsk to Alberta, Canada in 1922. Two of their sons had went ahead in 1920. One year after the emigration her husband came back to Sweden, seriously ill with cancer and died in Staggträsk in September 1923. What I wonder is did Karin Bergstrom as she called herself, continue to teach children to read, write and count? What happened to all the children in their new country, those who had become orphans at such a young age? The two who emigrated in 1920 were 18 and 20 when they left as a "vanguard". The six who went with the parents were 24, 18, 16, 14, 12 and 8 when they emigrated in 1922. One daughter, already married remained in Sweden. The picture below shows Karin with some of her own children and pupils. And the bakery, where she had her deed in Krutträsk, it is still there, maybe in better condition now than when Karin was stationed there. The teacher Karin Bergstrom with some of her kids and pupils. The bakery house (building to the right) - or the old school house.